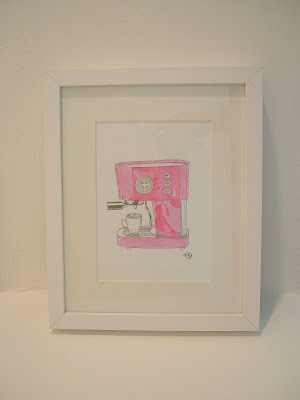 This was a commission for a client celebrating a special wedding anniversary. 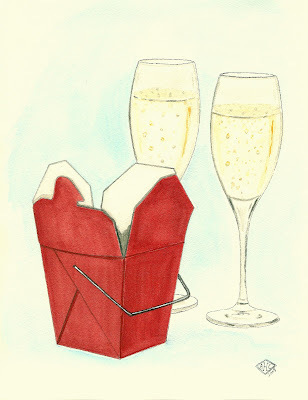 Chinese take-out and champagne were a special tradition for this couple. 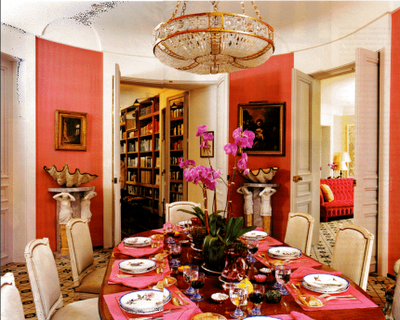 Whether you are headed out to a celebration with friends or opting for a cozy night in with good food and someone special, I wish you all a very safe and happy New Year's Eve and a 2009 filled with peace, hope and love. Thanks to all of you for enriching my life so much this past year - I look forward to a new year and many new additions to Annechovie. But the best part is always getting to know and work with so many of you! 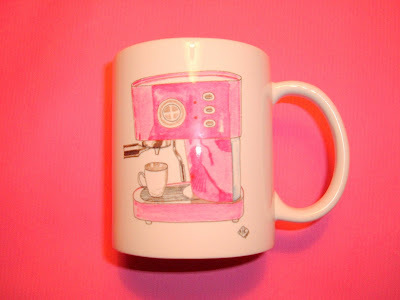 I have a distinct weakness for pink in many shades. When I was little, I earned the nickname, "Pinky" from my grandmother's neighbor, because my mom dressed me in mostly pink. As I got older, I tried to get away from that, but never really succeeded. I must admit, I am drawn back to it time and again. 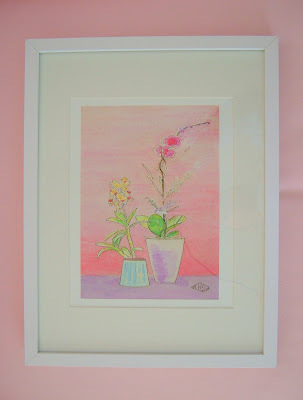 So, here's a few photos from my files of some lovely pink things. Regrettably, some I neglected to label and so their source remains unknown. I am working on being a better "labeler". 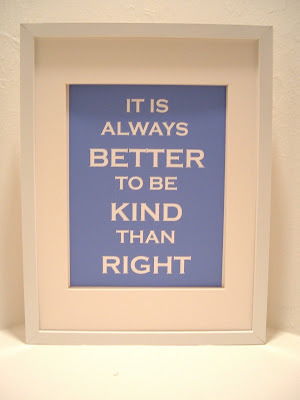 That can be one of my new year's resolutions! I hope everyone had an enjoyable long holiday weekend - are you back to work or still on break this week? 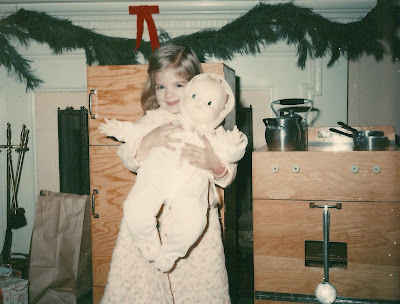 This was an especially memorable Christmas (1976) because my grandfather made me my own mini stove and refrigerator in a dazzling varnish-coated plywood, long before Pottery Barn Kids' more souped-up versions. The doll was named "Pumpkin". This is me and my little brother, Josh, circa 1978. Dig the bedhead? 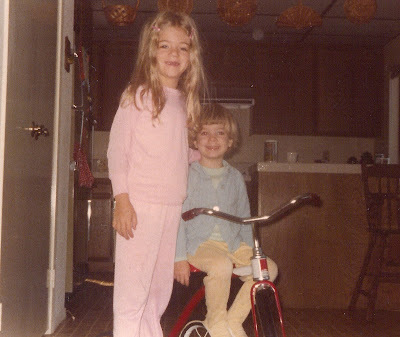 I got my first pair of roller skates and he got a shiny new tricycle, so we were definitely happy campers. I want to wish each and everyone of you a very Merry Christmas! 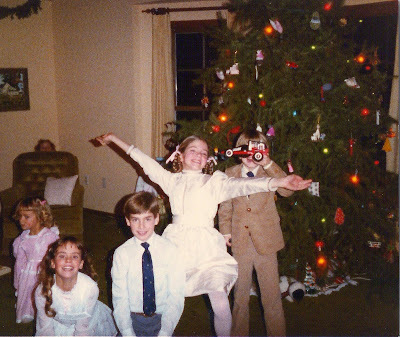 Christmas is a very special time for me and always has a way of stirring a lot of different emotions. It's a time to reflect on not only the year past, but the years past as well. To remember all that I've been blessed with, but also to remember the loved ones who are no longer with me and all of the special Christmases I spent with them. When I was little, there was the rush of expectation and euphoria associated with what presents I would receive. I could never eat or sleep very well because I was so excited. That's not quite the case any longer, but as I think about why I celebrate my Saviour's birth, deeper feelings leave more of a lasting impression on my heart than the fleeting excitement of what was under the tree for me. I am truly blessed and no matter what the future holds or what tough times I have faced in the past, I have a lasting hope and peace that transcends time and circumstances. I always think about that scene from "The Grinch Who Stole Christmas" where the Grinch is poised looking over "Who-ville", gleefully anticipating the devastation that will inevitably result in their community because he has done everything in his power to steal everything that he thinks holds value for them. Much to his surprise, his gloating is met with the sound of joyful, grateful, overcoming voices. Voices demonstrating the fact that celebrating Christmas has so much more to do with where your heart is, than what you may have or do to celebrate it. That kind of joy can't be stolen by anyone or anything. I am so grateful for each of you (readers, clients and fellow bloggers) and wish you a very Merry Christmas. For my wonderful friends who don't celebrate Christmas, a very Happy Hanukkah and Happy Kwanza - you guys get to spread out the fun! Posting may be a bit light this week as I take a much-needed breather and celebrate Christmas with my loved ones. 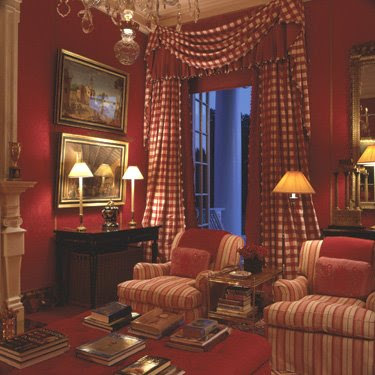 I thought this room provided a very cozy backdrop for a holiday get-together in these warm red tones. Sitting by the fire, listening to some Christmas music, sipping something hot while relaxing with friends and family, it all sounds very attractive to me right now. What are you most looking forward to this week? 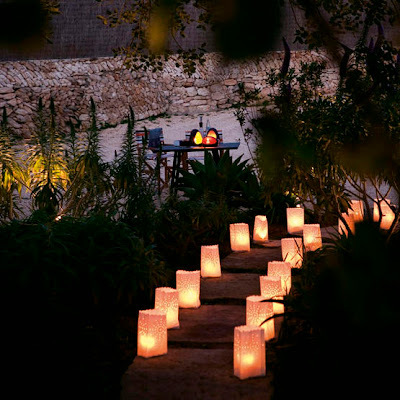 Although using luminaries to decorate is not a new concept, it never fails to look festive and beautiful! I really love it when unconventional colors are used for Christmas wrappings - these are luscious color combinations. 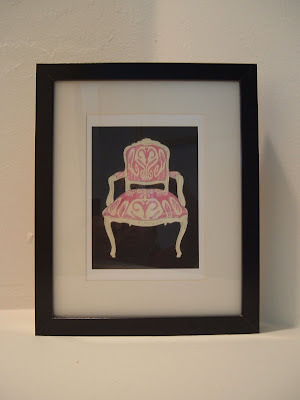 Something about cut paper holds such appeal for me. Aren't these wreaths pretty? Reminds me a bit of Tord Boontje's work. 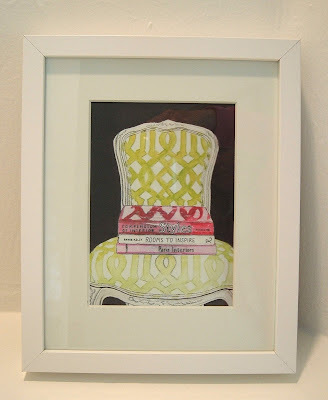 No mantel for your stockings? Here's a clever solution. Right-brained me was feeling a little depleted in the creative department. I LOVE what I do, but once in a while, when I've been working a lot, I know I don't have it in me to cook up another creative thing. That's when it's better to just shut off my brain and go look at what someone else has done. That exercise never fails to refresh and inspire me. This time I went to Living, Etc. where I swiped these lovely photos. Where do you go to get inspired creatively? Ok, this is where it all starts. 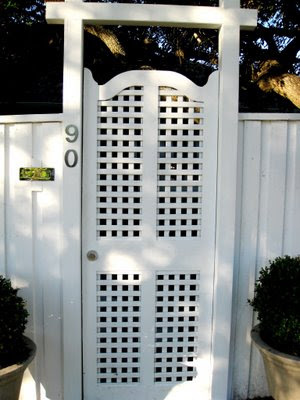 There's something about a gated entrance that ramps up the anticipation of entering someone's home. 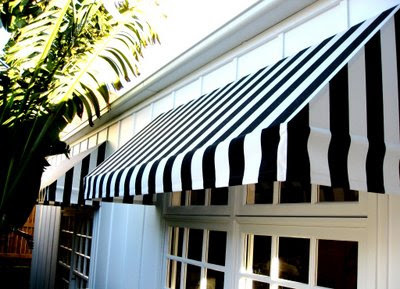 I am wild about these black and white striped awnings that she has chosen to cap all her windows with. 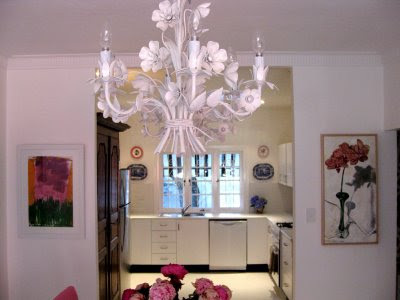 The white tole chandelier is a lovely touch, don't you agree? 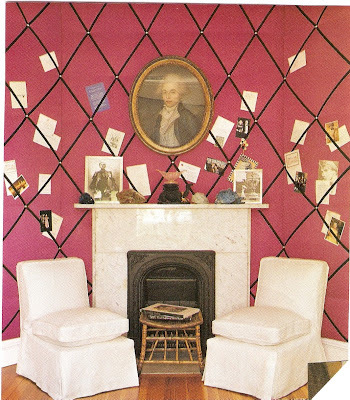 This is one of my all-time favorite wallpaper patterns, by Manuel Canovas. This color is amazing! 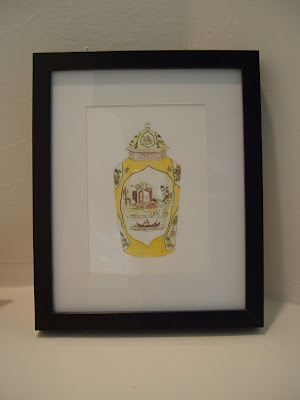 Another of the perfectly charming little vignettes Anna is so talented at putting together. 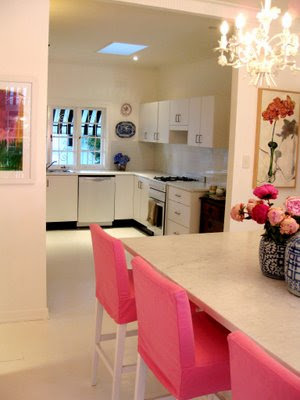 Another feature I am loving, this Carrera marble-topped kitchen island with pink slipcovered stools. 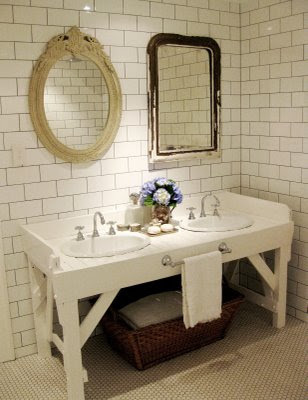 I think this is a very clever and unusual version of a bathroom vanity - very cottagey. 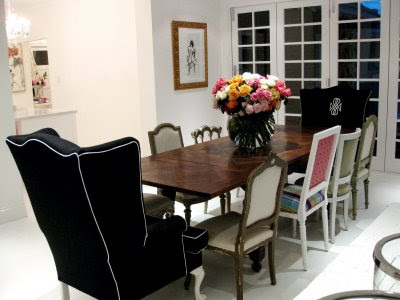 This post is a completely unabashed rip-off of Anna Spiro's post on her beautifully renovated home in Brisbane, Australia. Most of you have probably already seen this, but I was so taken with what she's done, that I quickly saved all the photos from her post so I could digest them at my leisure and save them for my inspiration file. 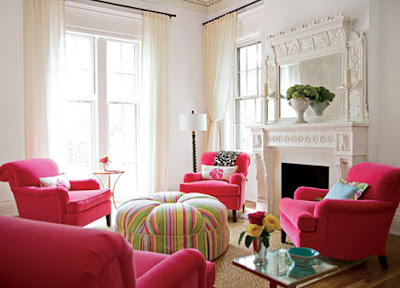 The white painted floors, the awnings, all the white with pops of bright color, I could go on and on. 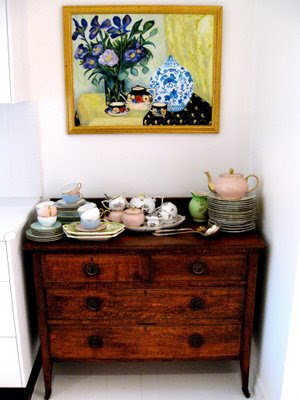 I have long admired Anna's style, in both her home and her shop and am privileged to call her a friend through blogging. 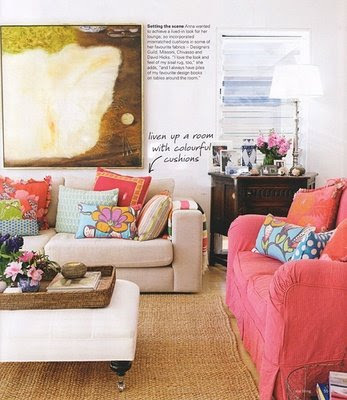 She is incredibly talented and the kind of person I would trust wholeheartedly to design a home for me. 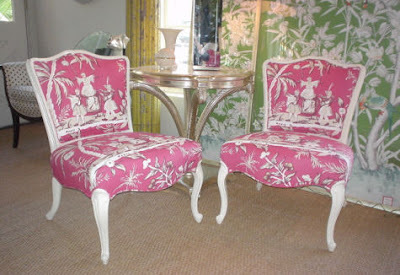 I don't think I've ever seen a single design she's put together that I wouldn't love living in or with. 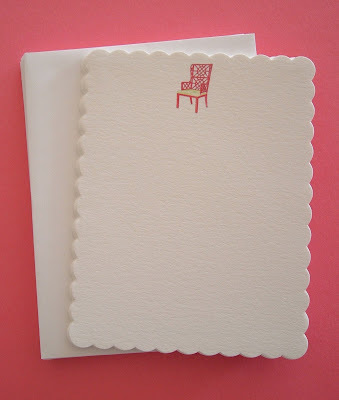 You can see her entire post here on her juicy, drool-worthy design blog, Absolutely Beautiful Things. 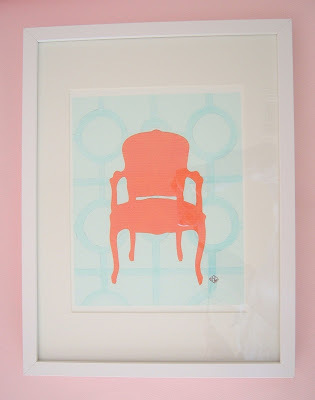 Anna has one of the most popular design blogs worldwide and I am sure if you haven't already discovered her work and blog, you will thoroughly enjoy following it. 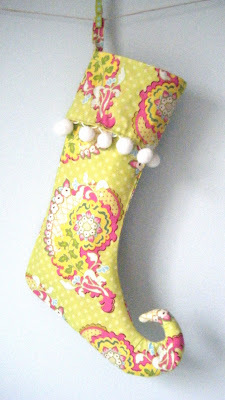 My friend Annie in New Jersey makes the prettiest stockings I have ever seen! Not the furry red kind that look like a nightmare steering wheel cover, but truly classic stockings that are, in themselves, a work of art. 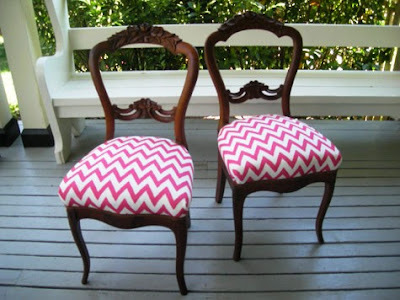 Her fabric choices are gorgeous and her attention to detail meticulous. Be sure to check out her Etsy shop here! 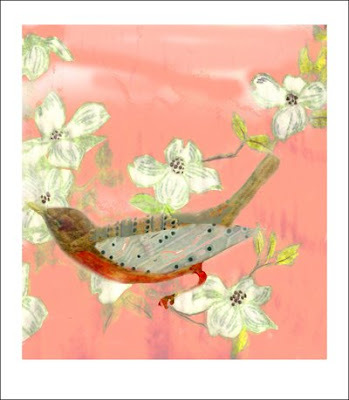 Her company is called Firefly Hill Designs and she also makes lovely bags, belts, sachets and all sorts of beautiful items perfect for giving. I hope everyone had a great weekend and your holiday preparations are coming along well. Just wanted to let you know that, from now until December 19th, there is free ground shipping within the US for any order over $20! Pictured above are a few selections from the many items offered in my shop - all great for gifts and stocking stuffers! 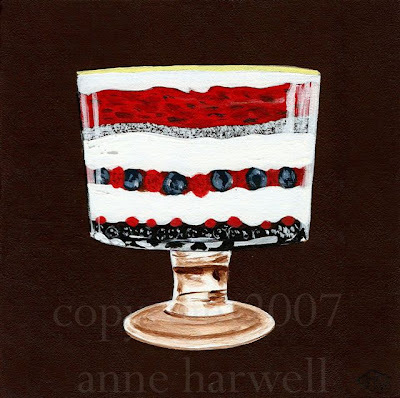 This was the second painting in my series of desserts! It's an English Trifle, a traditional and delicious British dessert that's been in existence for over 3 centuries and is especially great to serve when you entertain, and a great addition to your holiday tableau. For my fellow blogger Suzie, (who is living in Beijing, China but restoring a home in Calabria, Italy) I have included the recipe! Hope all of you have a wonderful and festive weekend! Cut pound cake in half lengthwise and trim halves to cover bottom of glass trifle dish, or a 9 inch straightsided glass bowl. Sprinkle cake with Sherry to soak, and spread cake with jam, heating jam if necessary to facilitate spreading. Place berries, kiwi and peaches on top of cake. Heat the milk in top of double boiler over mediumlow heat until film forms on it. Beat the eggs with the sugar and vanilla in a double boiler until it forms a ribbon. Then slowly pour the hot milk into the eggs, beating all the time. Place the mixture in a heavy saucepan and stir over low heat until the custard coats the back of a spoon, 10 to 15 minutes. Don't let it boil. Strain it through a fine sieve. Cool the custard in a bowl set in ice water, stirring occasionally. Pour cooled custard over the fruit. Refrigerate, covered, at least 4 hours. Whip cream to soft peaks. Beat in powdered sugar and continue beating until stiff. Spread whipped cream over the trifle and garnish with strawberries. If anyone actually makes this, take pics and let me know and I will post them! Ok, the pun is incredibly cheesy, I know. 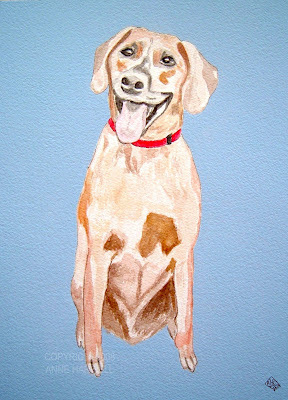 This is one of my recent dog portrait commissions from an especially nice client of mine in Houston. This is her husband's dog, Ollie. Even though time is running out, one option for holiday gift-giving is to send a loved one a gift certificate for a portrait of their dog, cat, home or anything that personifies them or holds special meaning for them. I will personalize a gift card/certificate for you and then they can anticipate receiving their custom commission in the new year. It's a very thoughtful and un-generic sort of gift. Contact me here for more information. If you are anything like me, you are extremely busy this time of year! I feel like I want to get things done and under control so I can really celebrate and enjoy Christmas and not be running around like a chicken with my head cut off! It's great to be able to get a gift that doesn't require any "assembly", so for those of you who may be clueless about what to give and a bit short on time, there are some new gift options this week. 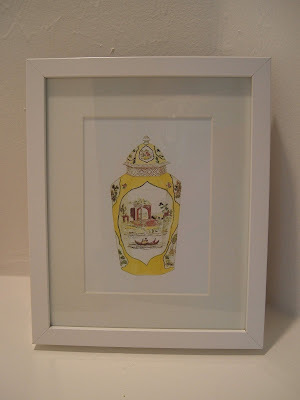 I am now selling several larger framed prints that feature the same quality of my regular prints on watercolor paper, but also the added bonus of being ready-to-give. 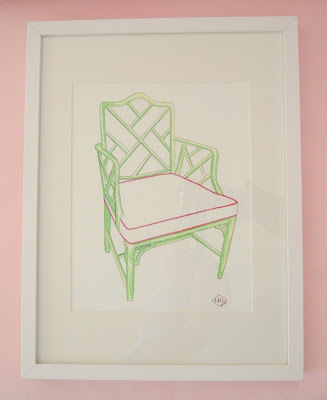 They come matted with a neutral acid-free mat and a white frame measuring 11.75 x 15.75 inches (or 30x40 cm). 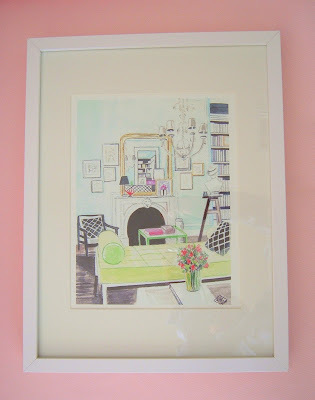 Please keep in mind that almost all of my paintings are available framed, so if there's a particular work you want that you don't see in my store, you can just email me and I will be more than happy to accommodate you! TIRED OF THE SAME 'OL? 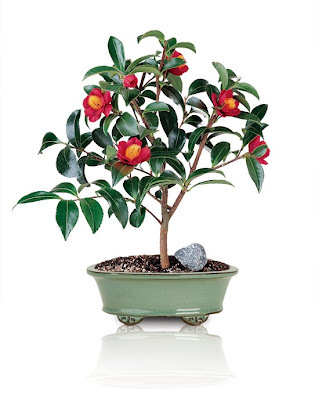 The Yuletide Bonsai, a beautiful miniature camellia plant that will continue to be a great addition to any interior, long past the holidays. Don't we all need a little lasting value these days? 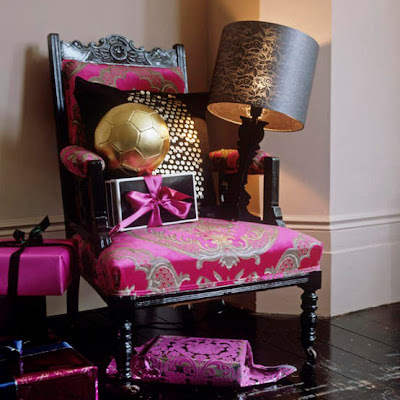 The Noel Rose Bowl, simple, yet stunning. 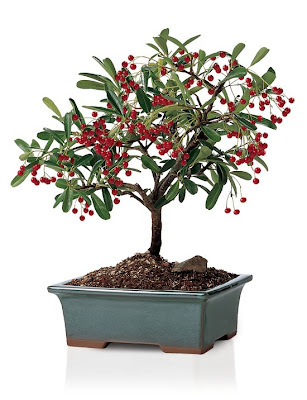 The Red Berry Bonsai - I thought this was adorable. 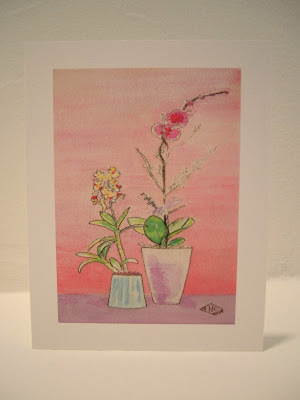 or some of my "Orchids" notecards - a great stocking stuffer or hostess gift. 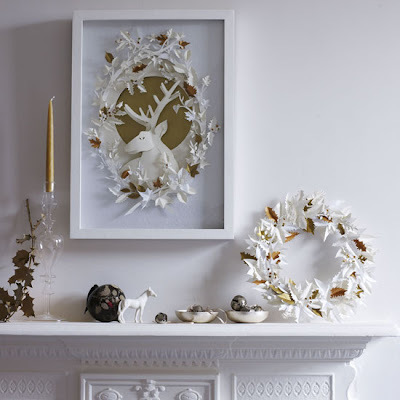 While perusing Calyx Flowers recently, I came across some lovely gift or holiday decor choices that are a refreshing departure from the generic and expected. I love paperwhites and even the occasional amaryllis as much as anyone, but here are a few options that really caught my eye. 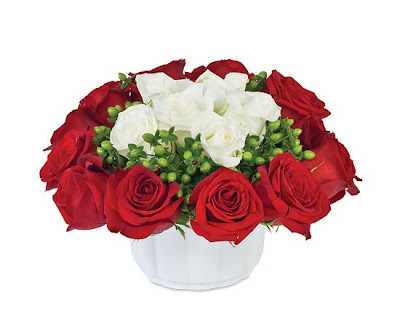 Calyx Flowers is a top notch outfit that will deliver an extra touch of refinement with your gift. These prints are looking for a good home! Ok, PLEASE bear with me here as I expose you to some more of my shameless marketing tactics. 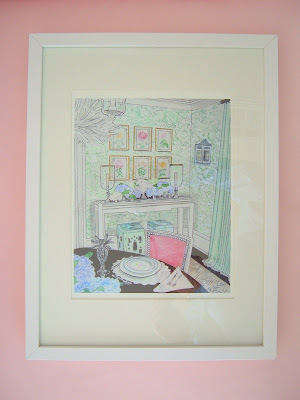 Here are some new prints available in my Etsy shop, framed and ready to go! 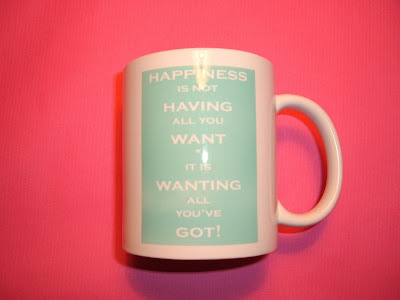 Perfect for gifts!! Wink, wink. Can you believe it's December today? Where did 2008 go? Yesterday was a rare rainy day here in South Florida, so it was a perfect afternoon to get some Christmas decorations up and get into the Christmas mood a little. I am never one to want to rush holidays or jump the gun, but, for some reason, this year I am more eager to get into it. 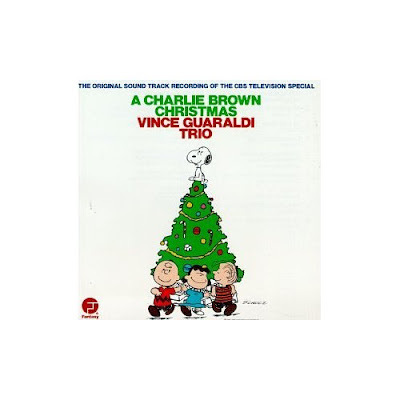 Putting up the tree just isn't as festive without a great soundtrack, so this year it had to be one of my favorite classic standbys, Vince Guaraldi's "A Charlie Brown Christmas". I am a total sentimental sap and I grew up watching "A Charlie Brown Christmas" every year on TV. Seeing it when I was little, I was moved by it's poignancy and I used to cry and try to hide my tears from my parents. So that, coupled with the fact that I am a real jazz lover, makes this a winning pick. It's mellow and comforting and festive all at the same time. 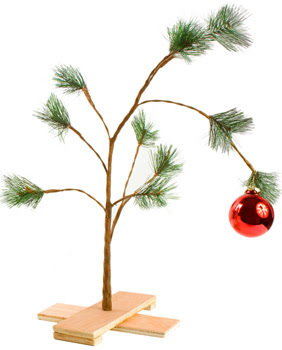 I also love this little replica of Charlie Brown's Christmas tree that is available here. There's something so winsome about it, it's sparseness standing in stark contrast to other trees. Just makes me smile. Has anyone else done any holiday decorating yet? What is your favorite holiday soundtrack?